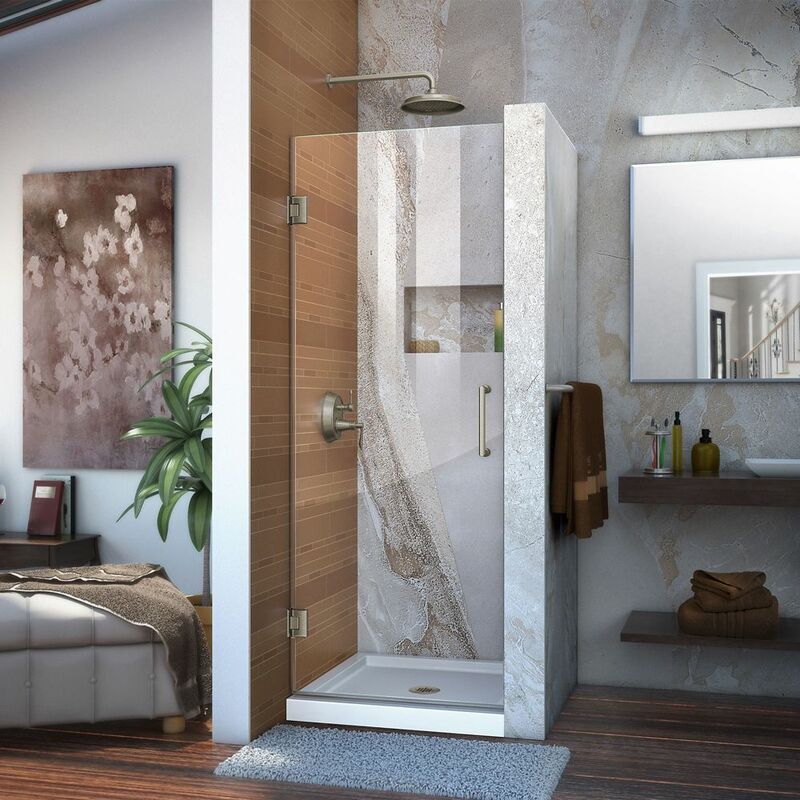 Unidoor 28-inch x 72-inch Frameless Hinged Pivot Shower Door in Brushed Nickel with Handle in Brushed Nickel is rated 4.8 out of 5 by 55. Rated 5 out of 5 by Jolene from BEAUTIFUL, GREAT QUALITY AND LOOKS REAL NICE - PRETTY EASY... BEAUTIFUL, GREAT QUALITY AND LOOKS REAL NICE - PRETTY EASY TO INSTALL JUST TAKES A LITTLE TIME, BUT WE REALLY LOVE IT. Rated 5 out of 5 by JJ from Beautiful door. Install is a bit tricky. But nice door. Beautiful door. Install is a bit tricky. But nice door. Rated 5 out of 5 by Melissa from Love the door. Looks great and was not difficult to... Love the door. Looks great and was not difficult to install. The door is heavy, but not difficult for two people.